It's the first time the car will ever head to auction. Porsche built just over 2,000 examples of the 911 Speedster in 1989, making them exceptionally rare finds on the used market. Luckily enough, a pristine example has come up for sale as part of the Silverstone Auctions’ May sale – but it won’t be cheap. Honoring the timeless design of the original 356, the 1989 911 Speedster featured a few iconic cues of its own, including the raked aluminum windshield, which sat three inches lower than the standard car. Also the noticeable "double hump" tonneau fiberglass cover gave the Speedster a more distinctive look. 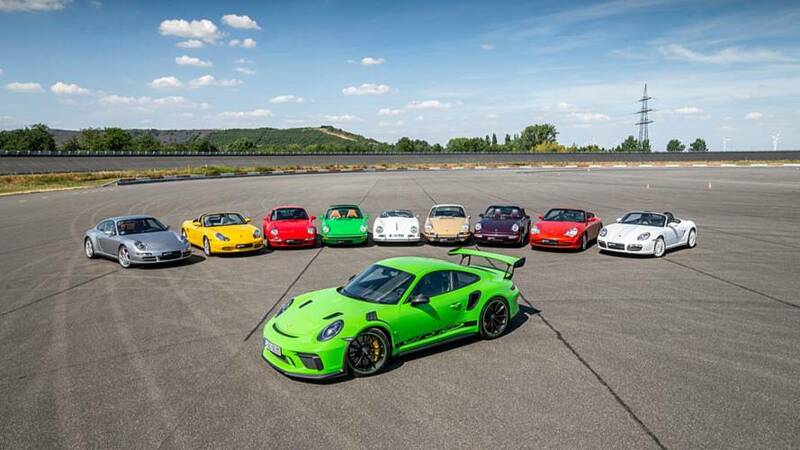 Based on the 3.2 Carrera, power came courtesy of a 3.2-liter six-cylinder engine producing 214 horsepower (159 kilowatts) and paired to a G50 five-speed manual gearbox. This Speedster in particular was also upgraded with a 911 turbo wide body kit and chassis, and Turbo-spec brakes and suspension. The car has driven just 5,590 miles since new. It was first delivered in 1989 to Mr. Victor Berk of New South Wales directly from Porsche Cars Australia, and came factory fitted with the ‘Super Sport’ equipment option, which added an alarm system and a luggage compartment trimmed in black velour, amongst other features. The car comes with a comprehensive history file that includes the original dealer order form, a Porsche Certificate of Authenticity, an introduction letter from Porsche Australia to its first owner, every inspection report up until June 2014, the original Porsche leather wallet and book with spare keys, and even the demo cassette for the Blaupunkt audio system. It remains in its original "triple spec" spec that came on the car when new, with black leather upholstery and a black hood. It’s also right-hand drive, one of just 139 examples ever produced. 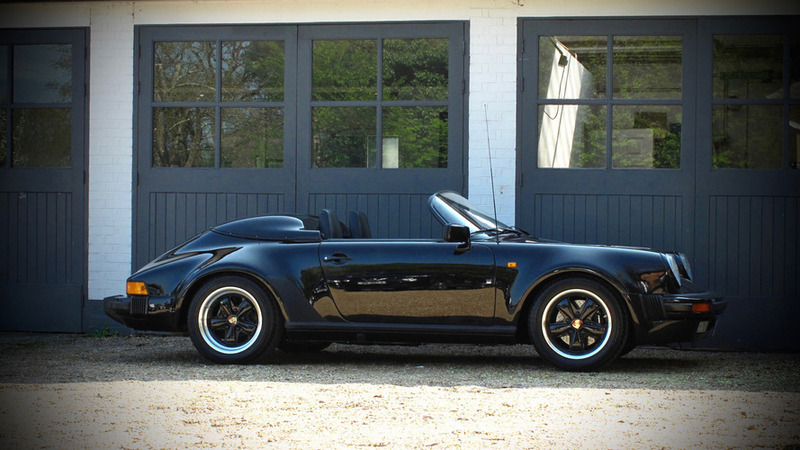 Silverstone doesn’t estimate how much the Speedster could go for, but don’t expect it to come anywhere near cheap. Previous examples have sold for close to $200,000. 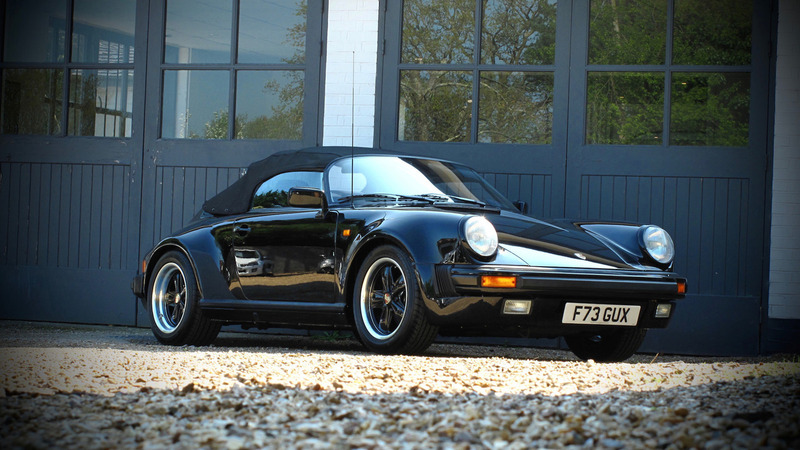 An incredibly rare, factory right-hand drive 1989 Porsche 911 Speedster, one of just 139 ever produced, has just been consigned to Silverstone Auctions’ May Sale, taking place on 13th May at The Wing, Silverstone circuit. The 911 Speedster was first produced in 1989 by Porsche to reflect the timeless design of their original 356 Speedster from the late 1950s. Design cues included the instantly recognisable raked aluminium windscreen, three inches lower than the standard car, combined with the 'double hump' clamshell fibreglass tonneau cover. The model was based upon the 3.2 Carrera with its later G50 gearbox, 911 Turbo wide body and chassis and upgraded Turbo-spec brakes and suspension. This particular example was delivered in July 1989 by Porsche Cars Australia to Mr.Victor Berk of New South Wales, who is its one and only private registered keeper from new. It was factory fitted from new with the 'Super Sport' equipment option, alarm system, with the luggage compartment trimmed in black velour. The comprehensive history file includes everything from the original dealer order form, a Porsche Certificate of Authenticity (GB), an introduction letter from Porsche Australia to Mr. Berk, every "inspection report" (Australian MOT) carried out by the supplying dealer in New South Wales from new until June 2014, the original Porsche leather wallet and book pack with spare keys, and even the demo cassette for the Blaupunkt audio system. A ‘triple black’ car, it remains today in its original specification of Black (colour code A1V9) with black leather upholstery and a black hood. In June 2014, Porsche Centre Sydney carried out a full dealer inspection report, including a compression test and full service, prior to the car's export to the UK. Today it has covered a warranted 8,998 kms, which is just 5,590 miles from new. The service book shows 21 main dealer services from new carried out on time, irrespective of mileage covered. The paintwork and interior condition remain exceptional and flawless throughout. It is now offered for public auction for the first time in its life, estimated at between £145,000 and £165,000.